Researchers are sometimes frustrated when a prospective drug proves effective in some patients, but not enough to justify giving it to everyone who has the condition it is intended to treat. 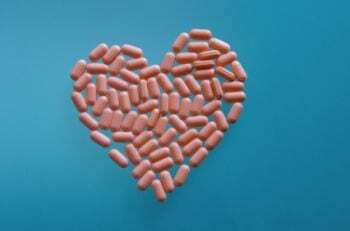 The beta-blocker drug bucindolol met that fate in 2001 when it was originally tested as a treatment for heart failure. Though it did help a fraction of the 2,708 patients in the study, it didn’t improve the condition of enough patients to be approved for the market. But now researchers have rescued bucindolol from the pharmaceutical dustbin by identifying a genetic variation that increases a person’s chances of benefiting from the drug. Researchers collected DNA samples from 1,040 patients who were involved in the original study, and found that genetics plays a significant role in determining its effectiveness. In light of the discovery, the company that owns the drug, ARCA biopharma, has applied to the FDA for approval to sell it. The most important gene in determining bucindolol’s effectiveness is ADRB1, which is not surprising – the gene is involved in activating the “fight or flight” response to the hormone adrenaline. Beta-blocker drugs such as bucindolol suppress that response, protecting a weak heart from the strain that an adrenaline response produces. It appears that bucindolol blocks adrenaline’s effects only if a person has a particular form of the ADRB1 gene. Among those people, bucindolol decreased the risk of death from heart-related causes 48%. 23andMe customers can determine whether they have the form of ADRB1 that responds to bucindolol by checking their genotypes at the SNP rs1801253; the CC genotype is the responsive form of the gene. 23andMe customers and demo account holders can also read more about bucindolol in the Beta-blocker Response section of My Health and Traits. Until now, the vast majority of drugs prescribed on the basis of genetics have been for cancer – and their effectiveness has mostly depended on the genetics of the tumor rather than the patient. But the bucindolol story illustrates the broader promise of genetic information for drug developers, physicians and patients. The hope is that eventually, understanding how genetic variations influence the effectiveness of drugs and their side effects will usher in a new era of personalized medicine.